Do You Rush to the Beach Without a Beach Umbrella? Beach umbrella must be part of your sun protection system every time you head out to the sun exposed beach. Nowadays they are designed to be an excellent sun protection product to keep you protected from the sun's damaging UV rays or ultraviolet radiation. 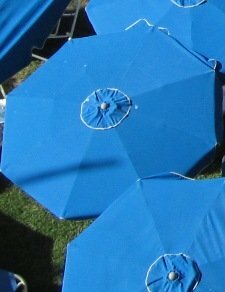 The sun umbrella is also known as sun parasol or UV umbrella. When you hold them up properly or install them at the correct angle, your whole body gets protection from the sun especially when UV index is very high. There are the kinds that are equipped with a tilt to help you get the angle of installation right. The sun protection umbrella normally makes you feel 10 to 15 degrees cooler than what the temperature actually is. Your primary goal is to be sun protective and to take caution in prevention of skin cancer, especially Malignant Melanoma. Why Should You Use a Beach Umbrella Anyway? When you are at the beach under the sun, your whole body is subject to the sun’s ultraviolet rays. •	Your sun hat alone may not protect you. •	If it's too hot, you may remove your sun protection hat. •	sun protection umbrella keeps you cooler when under the sun. •	It gives you extra sun protection. Have You Ever Come Home From the Beach with Your Head Itching? Well, chances are that your scalp got more than its share of sun exposure or UV rays. Therefore it was burned or in other words got sunburn. Naturally this could happen to any part of your body which was exposed or lightly covered. This could potentially leave your skin open to future disorders or even skin cancer. How Do You Pick a Good UV Protection Umbrella? It must have a UPF rating of 50+. Usually the sun protection fabrics are rated by the UPF number. UPF stands for Ultraviolet Protection Factor. So the higher the UPF rating the higher the UV protection will be. For sun protection umbrella, a UPF 50+ rating is preferred which translates into a 98% blockage of the sun's harmful UVA and UVB rays. Also water resistant beach or UV umbrella is better for all kinds of weather. 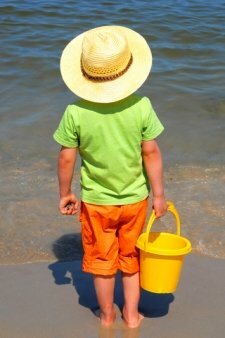 Which Type of Beach Umbrella is the Best? 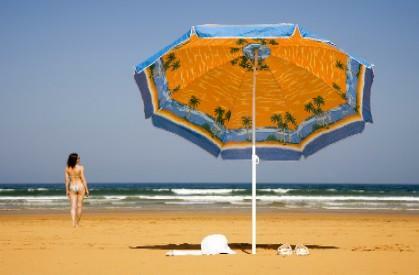 •	The fabric of beach umbrella blocks 98% of the harmful ultraviolet rays.